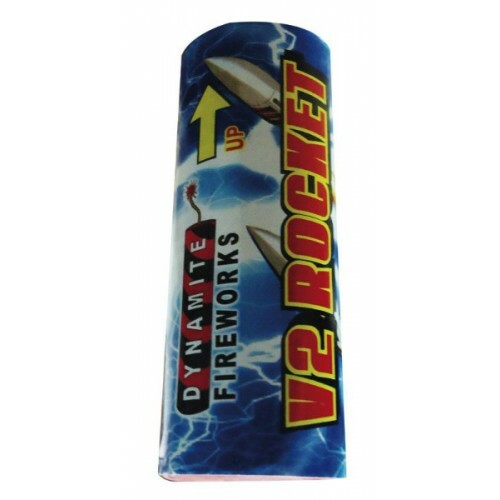 Update: We have just been told that the V2 rockets were damaged during transport, and only a couple of cartons were ok. It looks like we can get enough good ones for customers who have already ordered, but there are no more in the country. If you love the V2, we would recommend the 666 Satans Fury or Buzzbombs as excellent alternatives. The new face of flyer in the NT! 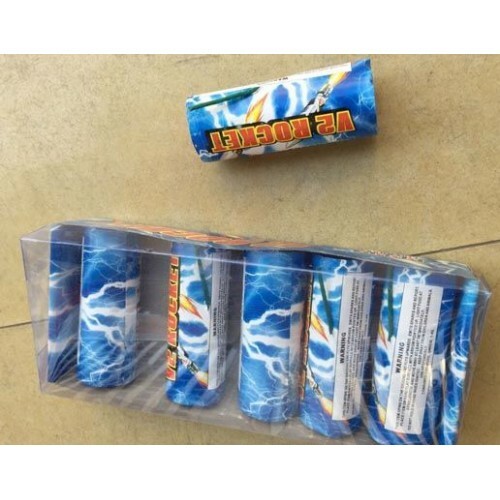 Introducing the stick-less rocket from Dominator fireworks! These little babies are awesome. A spinning flyer that rockets into the air with a big impressive break. Excellent bang for your buck. Buy yours today!